Our design team will assist in assessing your home and provide answers to help create the space of your dreams. 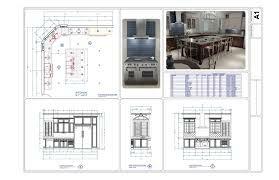 With their knowledge and expertise, they will aid in the planning process. Our company provides free estimates and consultations. We offer a wide variety of cabinetry and flooring to help you achieve your remodeling goals. We have a full service showroom and offer a wide selection of flooring, hardware, cabinets and natural stone surfaces. Even if you are looking for a update and don't require design or installation our prices our competitive to big box stores! We have professional installers for the products we sell. Our experience helps us select contractors that will offer professional and reliable people to complete your job. All of the installers that will work on your project are licensed and insured. Our facility also has a full service fabrication center that allows us to custom fabricate your granite on site then install in your home. Our professional installers are well trained to ensure the best cut and design and finish for your project.